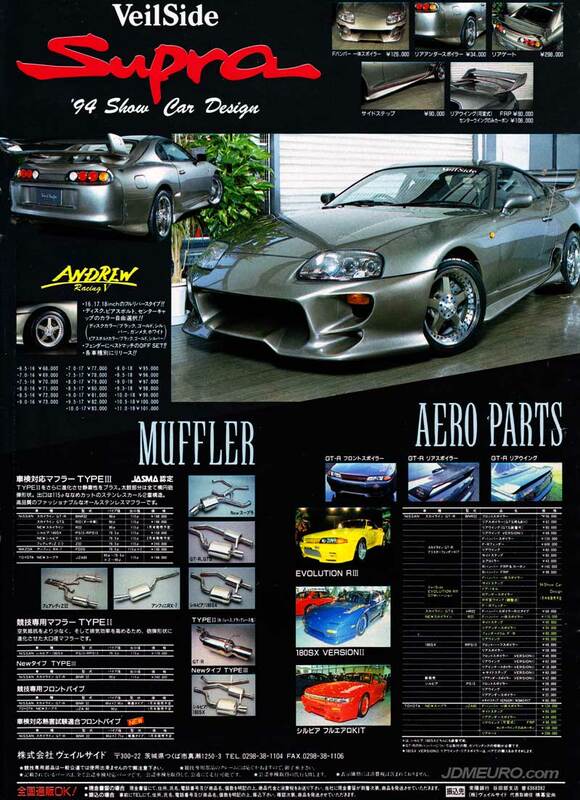 The Veilside Supra was a game changer, it spawned a whole body kit movement in the late 90’s. I remember one of my friends had the veilside bumper on his 96 civic coupe, and another on his 95 prelude, and a few years later on the hero car in the prolific car movie, The Fast and the Furious. At the time, the styling was revolutionary. The Swooping lines, all the vents and that pedestal style wing. Also new, was the JDM Wheels, the Veilside Andrew Racing V Wheels. The Veilside Andrew Racing V feature a thick 5 spoke design with a unique center cap covering the lug nuts. The Veilside Andrew Racing V were manufactured by SSR Wheels and featured 2 piece construction.